Mathematics was a central and constant preoccupation for Ludwig Wittgenstein (1889–1951). He started in philosophy by reflecting on the nature of mathematics and logic; and, at the end of his life, his manuscripts on these topics amounted to thousands of pages, including notebooks and correspondence. In 1944, he said his primary contribution to philosophy was in the philosophy of mathematics. Yet his later views on mathematics have been less well received than his earlier conception, due to their anti-scientific, even anti-rationalist, spirit. This article focuses on the relation between the later Wittgenstein’s philosophy of mathematics and other philosophies of mathematics, especially Platonism; however, other doctrines (formalism, conventionalism, constructivism, empiricism) will be discussed as well. Wittgenstein does not sympathize with any traditional philosophy of mathematics, and in particular his hostility toward Platonism (the conception that mathematics is about a-causal objects and mind-independent truths) is quite evident. This is in line with what can be described as his more general philosophical project: to expose deep conceptual confusions in the academic doctrines, rather than to defend his own doctrine. In fact, it is not even clear that the threads of his thinking on mathematics, when pulled together, amount to what we would today call a coherent, unified -ism. However, one view that can be attributed to him is that mathematical identities such as ‘Three times three is nine’ are not really propositions, as their superficial form indicates, but are certain kinds of rules; and, thus understood, the question is whether they are arbitrary or not. The interpretive position preferred in this article is that they are not, since they are grounded in empirical regularities – hence the recurrence of the theme of the applicability of mathematics in Wittgenstein’s later reflections on this topic. Some have characterized him as a finitist-constructivist, others as a conventionalist, while many strongly disagree about these labels. He notoriously held the view that philosophy should be eminently descriptive, strongly opposing any interference with how mathematics is actually done (though he also predicted that lucid philosophy would curb the growth of certain mathematical branches). In particular, he was worried about the philosophers’ tendency to provide a foundation for mathematics, mainly because he thought it does not need one. This Wittgenstein-phobia, if it truly exists, is surely regrettable – not only because of the intrinsic value of Wittgenstein’s highly original insights, but also because understanding his views on mathematics might illuminate difficult themes in his widely-studied work Philosophical Investigations  (PI). It is telling that the early draft of PI had contained a good portion of what is now RFM, and it is no coincidence that some of the examples and scenarios used to illustrate the much discussed rule-following ‘paradoxes’ appearing in PI are cast in mathematical terms (Fogelin , Kripke ). This article focuses on the relation between later Wittgenstein’s philosophy of mathematics and other philosophies of mathematics, especially Platonism; however, other doctrines (formalism, conventionalism, constructivism, empiricism) will be discussed as well. Hopefully, even a glance at this relation will give the reader a minimally misleading sense of his later views on mathematics – although, naturally, there is much more to explore than can be covered here (for example, Wittgenstein’s points on proofs as forging ‘internal relations’ and their role in concept formation, his take on mathematical necessity, or on Gödel’s First Incompleteness Theorem, this last issue alone generating a series of interesting exchanges over the years; see Tymoczko [1984), Shanker [1988), Rodych [1999, 2006], Putnam and Floyd , Floyd , Steiner , Bays ). Note also that very little will be said on the debate over the partition of Wittgenstein’s thinking. When it comes to mathematics, the standard demarcation (two Wittgensteins – the ‘early’ one of the Tractatus, and the ‘later’ one of the PI and RFM) is questioned by Gerrard (, ), who distinguishes two lines of thought within the post-Tractarian period: a middle one, or “the calculus conception”, to be found in Philosophical Grammar (PG), and a truly later one, “the language-game conception." Stern , however, worries about too finely dividing Wittgenstein’s thinking, concerned with the more recent tendency to add even the fourth period, post-PI, which Wittgenstein devoted to philosophical psychology and is illustrated in his Remarks on the Philosophy of Psychology. In addition to the aphoristic and multi-voiced style, one of the most baffling aspects of later Wittgenstein’s views on mathematics is his position relative to the traditional philosophies of mathematics. While his hostility toward Platonism (especially in the version advocated by the Cambridge mathematician G. E. Hardy) is quite pronounced, not much can be confidently said about the doctrine he actually espouses. In fact, given his rejection of theories and theses in philosophy (PI §128), one might even suspect that the threads of his thought, when pulled together, do not amount to what we would today call a ‘position’, let alone a coherent, unified ‘ism.’ He rejects the logicism of his former teachers Frege and Russell, but this does not turn him into a formalist (of Hilbertian inspiration), or an intuitionist-constructivist-finitist (like Brouwer); moreover, Kantian sympathies are discernible, even empiricist ones. Most of Wittgenstein’s remarks, however, are directed against academic schools, and Fogelin , for one, describes his position via a double negative: ‘anti-platonism without conventionalism.’ Here I will not propose a new label, yet the best starting point to discuss Wittgenstein’s conception is its relation to conventionalism. How exactly his views relate to this doctrine is, once again, hard to pin down; what appears relatively clearer is that his conventionalism is not the ‘full-blooded’ conventionalism that Dummett  attributed to him. As a first approximation, for Wittgenstein arithmetical identities (such as ‘three times three is nine’) are not propositions, as their superficial grammar indicates – but rules. Importantly though, these rules are not arbitrary; in a sense (to be explicated later on), the rules in place are the only ones that could have been adopted or, as Steiner [2009, 12] put it, “the only rules available." The typical conventionalist difficulty (that they might have an arbitrary character) is answered when it is added that the rules are grounded in objectively verifiable empirical regularities (Fogelin ; Steiner , , ); or, as Wittgenstein says, the empirical regularities are “hardened” into rules (RFM VI-22). In discussing Wittgenstein’s relation to conventionalism, a central task in what follows will be to clarify why (and how, and what kind of) agreement within a community is a crucial presupposition of the very existence of mathematics. As stated above, it is an open question whether Wittgenstein actually held a ‘position’ in the philosophy of mathematics, in the sense of advancing a compact body of doctrine. Most of his remarks seem reactions to what he takes to be (philosophical, non-trivial) misunderstandings concerning the nature of mathematics. Platonism falls in this category. He most likely understood this doctrine as the conjunction of two tenets: a semantic thesis – mathematical propositions state truths, and an ontological claim, according to which the truth-makers of the mathematical propositions, that is, objects like numbers, sets, functions, and so forth, exist, in a fashion similar to Plato’s forms, and populate an a-causal, non-spatiotemporal domain. This is to say that they are abstract; additionally, they are also language- and mind-independent. A third, epistemological, thesis is often added: we humans can know about these objects and truths insofar as we possess a special cognitive faculty of ‘intuition’ (that is, despite the fact that we don’t interact with them causally). However, note that an adequate characterization of Platonism itself, or of the version Wittgenstein dismissed, are substantial philosophical tasks in themselves, and this article will not attempt to undertake them. Yet one issue, among others, is worth mentioning in passing. There are Platonist realists who claim that mathematical statements have truth-value (Shapiro  calls this “realism in truth-value”), yet also hold that this does not entail that certain ‘objects’ need to be postulated as their truth-makers (the view that we do need to postulate these objects is called “realism in ontology”). Many famous mathematicians, philosophers and logicians have been attracted or intrigued by Platonism: Hardy , , Bernays , Gödel , Benaceraff , Dummett [1978a] are loci classici. More recently, Burgess and Rosen  and Balaguer  offer book-length treatments of this conception; Linebo  and Cole  are useful surveys and rich up-to-date bibliographical sources. What is Wittgenstein’s take on Platonism? The standard view is that for him this conception is what C. Wright [1980, 5] calls a “dangerous error.” Wittgenstein surely believed that it is extremely misleading to understand mathematical identities as stating truths about some (mathematical) objects. This is so because mathematical formulae are not in the business of making statements to begin with: they are not propositions. The acceptance of this assumption – that they are, as their surface grammar indicates – is, for some commentators, one of those “decisive moment[s] in the conjuring trick (...)” he mentions in PI §308, “the very one that we thought quite innocent." Thus, the decisive step on the road leading to Platonism is asking the question ‘What is mathematics about?’ The query seems innocent indeed: mathematics is a type of discourse, all discourses have a subject-matter, so mathematics must have one too. To see the problem with this question, Wittgenstein urges us to consider another question – ‘What is chess about?’ (This kind of move is characteristic for his style of philosophizing in the later period.) The initial question suggests a certain perspective on the issue, while the new question is meant to challenge this perspective, to reveal other possibilities – in particular, that mathematical equations may not be descriptions (statements, affirmations, declaratives, and so forth), let alone descriptions of some abstract, mind-independent, non-spatiotemporal entities and their relations. As has been noted (Wrigley ), this idea bears clear similarities to one of the key-thoughts of the Tractatus, that not all words (in particular the logical vocabulary) stand for things. The grammatical form of number words (as nouns), and of mathematical formulae (as affirmations), must be treated with care. More concretely, ‘is’ in ‘two and two is four’ does not have the role of a description of a state of affairs (so to speak) holding within an abstract non-spatiotemporal realm. It is generally accepted, at least among philosophers, that Platonism is the natural, or “default” metaphysical position for the working mathematician (Cole ). Wittgenstein has an interesting answer to the question ‘Why are mathematicians attracted to this view?’ and this section shall close by sketching it. Commentators have emphasized that his answer is grounded in the distinction between applied and pure (better: not-yet-applied) mathematics, and is thus entirely different from the standard reasons adduced by Platonists themselves. (For them, this doctrine is appealing because: (i) it squares well with our pre-theoretical picture of mathematics (as containing truth-valuable, objective, mind-independent, a priori statements), and (ii) it explains the agreement among mathematicians of all times.) As Maddy [1997, 167-8] points out, Wittgenstein thought it was very important to reflect on how professional mathematicians typically account for the importance of a certain piece of mathematical formalism – say, a new theorem. (He discusses this in terms of subjecting the “interest of calculations” to a test; (RFM II-62)) One thing mathematicians could do is reveal the implications of that bit of mathematics for science and mathematics as a whole. In other words, they could point out the great and unquestionable effectiveness of that formalism in other areas of mathematics and in scientific applications. Yet, when this type of answer is not available – that is, when they have to justify their interest in an unapplied formalism – they usually say things that Wittgenstein calls ‘prose’ (Wittgenstein and the Vienna Circle [WVC], p. 149). Instead of (perhaps boringly) detailing the internal-mathematical complex network of conceptual relations in which the new theorem fits, its unifying power, its capacity to open up new lines of research, and so forth, many mathematicians indulge in the more thrilling project of presenting their activity as one of foray into a mysterious super-empirical realm. Hence the familiar Platonist distinction: the claim that they do not invent theories, but discover objective eternal truths about a-causal, non-spatiotemporal objects. Wittgenstein refers to this as the illusory revelation of “the mysteries of the mathematical world” (RFM II - 40, 41). The diagnosis of PI §38 is that philosophical problems appear when ‘language goes on holiday’, or ‘idles.' What does this mean? (The original reads "...wenn die Sprache feiert." Stern [2004, 97] argues that Rhees’ initial translation of ‘feiert’ by ‘idle’ coveys better the idea that the language does no work than Anscombe’s standard translation ‘goes on holiday.') Steps toward the clarification of this point can be made by observing that Wittgenstein has in mind here the situation in which a concept otherwise fully intelligible, oftentimes even unremarkable, is detached from its original contexts and uses (language-games). Once dragged into a new ‘territory’, the concept idles (just like a cogwheel separated from the gear), as it cannot engage other related concepts anymore. Anyone trying to employ the concept in this new ‘environment’ experiences mental cramps and disquietudes, precisely because, as it happens when one ventures into uncharted ‘terrain’, the familiar ‘paths’ and ‘crossroads’ no longer exist: one does not know her “way about” (PI §123), one does not see things clearly anymore. Hence, according to Wittgenstein, the whole point of philosophizing is not to defend ‘philosophical positions’ but to undo this perplexity, and achieve a liberating ‘perspicuous representation’, or over-view (übersichtliche Darstellung; PI §122). When discussing the LFM quote above, Maddy observes [1997, 167] that one such problem, of much fame in the current debates in the philosophy of mathematics, is the epistemological problem for Platonists, due to Benacerraf . Roughly put, the question is how we get to know anything about numbers, if they are a-causal, non-spatiotemporal entities, and if all our knowledge arises by causal interaction with the known objects? This seems a legitimate worry, but Wittgenstein would disagree with one of its assumptions. Not only does he reject the idea that a causal basis is essential for knowledge (‘knowledge’ most likely counts as a “family-resemblance” concept, lacking an essential feature; cf. PI §67), but he tackles the issue from an entirely different angle. He notes that the force of the problem (“the feeling of something queer”, “thumb-catching of the intellect”) “comes from a misunderstanding” (RFM V-6). The misunderstanding originates in what can be called a ‘transfer’ move: the Platonist assumes that the talk of ‘reality’ (and ‘entities’, and so forth) can be extended, or transferred, from the natural ‘home’ of these notions (the vernacular and the natural sciences) to the mathematical discourse – and, moreover, that this transfer can take place without loss of meaning. The rejected assumption is not that we can talk about relations and objective truth in mathematics, but that we can talk about them in the same way we talk in empirical science. Once this transfer is made, ‘deep’ questions (like Benacerraf’s) follow immediately. What Wittgenstein urges, then, is to take this epistemological difficulty as exposing the meaning-annihilation effect of the illicit transfer move – so, in the end, Platonism is not even wrong, but (disguised) nonsense. What is the more general outcome of adopting such a philosophical strategy? A ‘therapeutic’ one: the liberation of our minds from the grip of an ‘illegitimate question’ (‘what is mathematics about?’) Such a strategy can be traced back to Heinrich Hertz’s insight in Principles of Mechanics, one of Wittgenstein’s formative readings: “(...) the question [...] will not have been answered; but our minds, no longer vexed, will cease to ask illegitimate questions.” (Hertz [1899 / 2003, 8] The question Hertz entertained was about ‘the ultimate nature of force’). Before taking up the second issue, it is worth noting that Wittgenstein’s view fails to fit other traditional ‘isms’ too. Wrigley [1977, 50] sketches some of the reasons why he cannot be described as a finitist-constructivist, thus disagreeing with how Dummett  and Bernays  portray him. While following the teachings of this philosophical doctrine would lead to massive changes in mathematics (for example, a big portion of real analysis must be wiped out as meaningless), Wittgenstein notoriously held the view that “philosophy may in no way interfere with the actual use of language; it can in the end only describe it. For it cannot give it a foundation either. It leaves everything as it is. It leaves mathematics as it is, and no mathematical discovery can advance it” (PI §124). Another marked difference between Wittgenstein and the intuitionists is discussed by Gerrard [1996, 196, fn 37]. Brouwer sees mathematics as divorced from the language in which it is done, and says: “FIRST ACT OF INTUITIONISM Completely separating mathematics from mathematical language…recognizing that intuitionistic mathematics is an essentially languageless activity of the mind…” (cited in D. van Dalen [1981, 4]). Yet, as we will see below, it is a constant of Wittgenstein’s view that mathematics cannot be separated from a language and a human practice. Returning to the second issue (how mathematics is different from a game), recall that this concern arises naturally given Wittgenstein’s insistence that mathematical formulae aren’t genuine propositions, but some kind of rules. This takes us to the question as to how Wittgenstein’s conception differs from formalism. The answer must begin by noting that mathematics provides us with “rules for the identity of descriptions” (Fogelin [1987, 214]). and tell her that this also describes the 3 × 3 operation. Thus, the identity ‘3 × 3 = 9’ is the rule that the two descriptions are correct and they say the same thing (that is, are ‘identical’, to use Fogelin’s terminology). So, we hope, the child understands that three batches of three objects amount to nine objects. She counts the squares, and reports the result: 7. We protest, and the child gets confused. Her puzzlement originates in her belief that she generated arrangement (c) by doing the same thing we did initially – she considered three batches of three objects, and then counted the objects! In essence, here Wittgenstein would urge that it is just a brute fact of nature that we are indeed able to avoid this situation, and sort out our confusion, especially after the teachers intervene and signal the mistake we made. To emphasize, it is a brute fact that when people are asked to represent the multiplication 3 × 3, the (a)-type and (b)-type arrangements predominate, while those of the (c)-type are very rare, and even more so after training. So, as a result of training, the child becomes able to recognize that, as Fogelin notes [1987, 215], despite superficial similarities arrangement (c) is not the result of doing ‘the same thing’ we did initially ((a) and (b)). While this might be distressing, there is no guarantee that the child will reach this stage in understanding. Moreover, the process is gradual: some children ‘get it’ faster than others. The immersion in the community of ‘mathematicians’, the continual checking and correcting, the social pressure (through low grades), and so forth, help the children master the technique of distinguishing what is allowed from what is not, to differentiate what must be ‘turned a blind eye on’ from what really matters. The arithmetical training consists in inculcating in children a certain technique to deploy when presented with situations of the kind discussed here: they understand multiplication when they are able to establish (and recognize) the identity of various descriptions. The squares example can be invoked to illustrate Wittgenstein’s position regarding formalism. The arithmetical identities are not reducible to mere manipulations of symbols, but come embedded into, and govern the relations of, (arrangement) practices. The arithmetical training consists not only in having the pupils learn the allowed strings of symbols (the multiplication table) by heart, but also, more importantly, in inculcating in them a certain reaction when presented with arrangements of the kind discussed above. At this point, two aspects of the issue should be distinguished. The first is purely descriptive. In terms of what people actually do, the ‘normal’ situations (arrangements of (a)-type and (b)-type) prevail after training, while the ‘deviant’ ones (arrangements of the (c)-type) are the exception. This is an empirical regularity: with training, most people get the arrangements right most of the time. I say to [the trainee], “You know what you’ve done so far. Now do the same sort of thing for these two numbers.”—I assume he does what we usually do. This is an experiment—and one which we may later adopt as a calculation. What does that mean? Well, suppose that 90 per cent do it all one way. I say, “This is now going to be the right result.” The experiment was to show what the most natural way is—which way most of them go. Now everybody is taught to do it—and now there is a right and wrong. Before there was not. Here, building the road is a decision, but not an arbitrary one: different crossing paths have been taken over time, but usually one is most often travelled, and thus preferred on a regular basis. It is this one that gradually emerges as the most suited for crossing, and the one which the lasting road will follow. Wittgenstein’s emphasis on conceiving mathematics as essentially presupposing human practices and human language should not be taken as an endorsement of a form of subjectivism of the sort right-is-what-I-(my-community)-take-to-be-right. Thus, interestingly, there is a sense in which Wittgenstein actually agrees with the line taken by Hardy, Frege and other Platonists insisting on the objectivity of mathematics. What Wittgenstein opposes is not objectivity per se, but the ‘philosophical’ explanation of it. The alternative account he proposes is that arithmetical identities emerge as a special codification of these contingent but extremely robust, objectively verifiable behavioral regularities. (Yet, recall that although the arithmetical propositions owe their origin and relevance to the existence of such regularities, they belong to a different order.) So, what Wittgenstein rejects is a certain “metaphysics of objectivity” (Gerrard [1996, 173]). In essence, he rejects the idea that mathematics is transcendent, that an extra-layer of ‘mathematical reality’ is the ultimate judge of what is proved, here and now, by human means. (“We know as much as God does in mathematics” (LFM, p. 104)) Therefore, from this perspective, progress in explaining Wittgenstein’s conception consist in clarifying how he manages to account for the “peculiar inexorability of mathematics” (RFM I-4), while avoiding both Platonism and subjectivism. A good starting point for this task is understanding Wittgenstein’s view of the relation between mathematical and empirical statements. Unlike some philosophers oftentimes compared with him (such as Quine), he takes mathematical propositions to be non-revisable in light of empirical investigation (“mathematics as such is always measure, not thing measured” RFM, III-75). To see the larger relevance of this point, consider the simple question ‘What if, by putting together two pebbles and other three pebbles, we get sometimes five, sometimes six, and sometimes even four pebbles?’ Importantly, this state of affairs would not be an indication that 2+3=5 is false – and thus needs revision. This situation would only show that pebbles are not good for demonstrating (and teaching) addition. The mathematical identity is untouchable (as it were), and the only option left to us is to suspect that maybe the empirical context is abnormal. Thus, the next step is to ask whether we face the same anomalies when we use other objects, such as fruits, pencils, books, bottles, fingers, and so forth. However, the wild variation described above does not exist. It is a contingent, brute natural fact (again!) that we do not live in such a world, but in one in which regularities prevail. Moreover, it is precisely the existence of such regularities – together with, as we will see in a moment, regularities of human behaviour – that makes possible the arithmetical practice in the first place. Wittgenstein, however, realized this rather late, as Steiner  documents. Remarks about the role of empirical regularities are entirely absent in PG and PR; so, according to Steiner, understanding the importance of the empirical regularities for mathematics amounts for Wittgenstein to a “silent revolution”, in addition to the well-known “overt revolution” (the repudiation of the Tractatus). Yet, as stressed above, it is crucial to note that speaking in terms of behavioural agreement when it comes to understanding the mathematical enterprise should not lead one to believe that Wittgenstein is in the business of undermining the objectivity of mathematics. This is Dummett’s  early influential line of interpretation, describing Wittgenstein as a “full-blooded conventionalist” (or even “anarchist”; this is Dummett’s [1978b, 64] famous label, when comparing Wittgenstein, “in his later phase” with the “Bolsheviks” Brouwer and Weyl.) 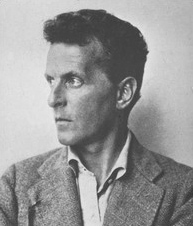 According to him, Wittgenstein maintains that at any step in a calculation we could go any way we want – and the only reason that we go the way we usually go is an agreement between us, as the members of the community: in essence, a convention we all accept (And which, since it might be changed, is entirely contingent. Dummett [1978b, 67] writes: “What makes a […mathematical] answer correct is that we are able to agree in acknowledging it as correct." (Cited in Gerrard [1996, 197, fn. 43]). Thus, one should say that a mathematical identity is true by convention; that is, it is taken, accepted as true by all calculators because a convention binds them. However, textual evidence can be amassed against this reading. Wittgenstein does not regard the agreement among the members of the community’s opinions on mathematical propositions as establishing their truth-value. Convincing passages illustrating this point can be found virtually everywhere in his later works, and Gerrard  collects several of them. In In PI II, xi, pp.226, Wittgenstein says that “Certainly the propositions ‘Human beings believe that twice two is four’ and ‘Twice two is four’ do not mean the same.” In LFM, p. 240, when talking about ‘mathematical responsibility’, he points out that “(...) one proposition is responsible to another. Given certain principles and laws of deduction, you can say certain things and not others." Some passages in LFM are most perspicuous: “Mathematical truth isn’t established by their all agreeing that it’s true” (p. 107); also, “it has often been put in the form of an assertion that the truths of logic are determined by a consensus of opinions. Is this what I am saying? No.” (p. p. 183). The specific kind of behavioural agreement (in action) is a precondition of the existence of the mathematical practice. The agreement is constitutive of the practice; it must already be in place before we can speak of ‘mathematics.' The regularities of behaviour (we subsequently ‘harden’) must already hold. So, we do not ‘go on’ in calculations (or make up rules) as we wish: it is the existent regularities of behaviour (to be ‘hardened’) that bind us. Thus, not much is left of the ‘full-blooded conventionalist’ idea. We don’t really have much freedom. Steiner [2009, 12] explains: the rules obtained from these regularities “are the only rules available. (The only degree of freedom is to avoid laying down these rules, not to adopt alternative rules. It is only in this sense that the mathematician is an inventor, not a discoverer. )” We can now see more clearly how this view contrasts with Dummett’s: mathematical identities are not true by convention, since they themselves are conventions, rules, elevated to this new status (‘archived’) from their initial condition of empirical regularities (Steiner [1996, 196]). The very fact of the existence of this background is not amenable to philosophical analysis. The question ‘Why do we all act the same way when confronted with certain (mathematical) situations?’ is, for Wittgenstein, a request for an explanation, and it can only be answered by advancing a theory of empirical science (neurophysiology, perhaps, or evolutionary psychology). This is a question that he, qua philosopher, does not take to be his concern. He sees himself as being in the business of only describing this background, with the avowed goal of drawing attention to its existence and (overlooked) function. For comprehensive bibliographical sources, see Sluga and Stern  and Floyd , and, for material available online, see Rodych  and Biletzki and Matar . Tractatus Logico-Philosophicus, , London: Routledge and Kegan Paul, 1961; translated by D.F. Pears and B.F. McGuinness. (PI) Philosophical Investigations, . , 3rd ed., Oxford: Blackwell Publishing. The German text, with a revised English translation by G. E. M. Anscombe. (RFM) Remarks on the Foundations of Mathematics, , MIT Press: Cambridge Massachusetts and London, England (paperback edition)  1st ed. Edited by G.H. von Wright, R. Rhees and G.E.M. Anscombe (eds. ); translated by G.E.M Anscombe. (PG) Philosophical Grammar, , Oxford: Basil Blackwell; Rush Rhees, (ed. ); translated by Anthony Kenny. (PR) Philosophical Remarks, , Oxford: Basil Blackwell; Rush Rhees, (ed. ); translated by Raymond Hargreaves and Roger White. (RPP) Remarks on the Philosophy of Psychology, , Vol. I, Chicago: University of Chicago Press, G.E.M. Anscombe and G.H. von Wright, (eds. ), translated by G.E.M. Anscombe. (AWL) Ambrose, Alice, (ed. ), , Wittgenstein's Lectures, Cambridge 1932-35: Ed. A. Ambrose, Totowa: NJ: Littlefield and Adams. (LFM) Diamond, Cora, (ed. ), , Wittgenstein's Lectures on the Foundations of Mathematics, Ithaca, N.Y.: Cornell University Press. (WVC) Waismann, Friedrich, , Wittgenstein and the Vienna Circle, Oxford: Basil Blackwell; edited by B.F. McGuinness; translated by Joachim Schulte and B.F. McGuinness. Anderson, A.R., , ‘Mathematics and the “Language Game”’, The Review of Metaphysics II, 446-458. Balaguer, Mark , Platonism and Anti-Platonism in Mathematics, Oxford: Oxford University Press. Bays, Timothy, , “On Floyd and Putnam on Wittgenstein on Gödel,” Journal of Philosophy, CI.4, April: 197-210. Benacerraf, Paul, , “Mathematical Truth”, Journal of Philosophy, 70(19): 661–679. Bernays, Paul, , “On Platonism in Mathematics”, Reprinted in Benacerraf and Putnam . Bernays, Paul, , “Comments on Ludwig Wittgenstein's Remarks on the Foundations of Mathematics,” Ratio, Vol. 2, Number 1, 1-22. Biletzki, Anat and Matar, Anat, , "Ludwig Wittgenstein", The Stanford Encyclopedia of Philosophy (Summer 2011 Edition), Edward N. Zalta (ed.). Burgess, John P. and Rosen, Gideon, , A Subject with No Object, Oxford: Oxford University Press. Conant , James, , “On Wittgenstein's Philosophy of Mathematics” Proceedings of the Aristotelian Society, New Series, Vol. 97 (1997), pp. 195-222. Diamond, Cora, , The Realistic Spirit, Cambridge, MA: MIT Press. Dummett, Michael, , “Wittgenstein's Philosophy of Mathematics,” The Philosophical Review, Vol. LXVIII: 324-348. Dummett, Michael, [1978b], “Reckonings: Wittgenstein on Mathematics,” Encounter, Vol. L, No. 3 (March 1978): 63-68. Floyd, Juliet, , “Wittgenstein on 2, 2, 2…: The Opening of Remarks on the Foundations of Mathematics,” Synthese 87: 143-180. Floyd, Juliet, and Putnam, Hilary, , “A Note on Wittgenstein's “Notorious Paragraph” about the Gödel Theorem,” The Journal of Philosophy, Volume XCVII, Number 11, November: 624-632. Floyd, Juliet, , “Prose versus Proof: Wittgenstein on Gödel, Tarski, and Truth,” Philosophia Mathematica 3, Vol. 9: 280-307. Floyd, Juliet, , “Wittgenstein on Philosophy of Logic and Mathematics,” in The Oxford Handbook of Philosophy of Logic and Mathematics, S. Shapiro (ed. ), Oxford: Oxford University Press: 75-128. Floyd, Juliet, and Putnam, Hilary, , “Bays, Steiner, and Wittgenstein's ‘Notorious’ Paragraph about the Gödel Theorem,” The Journal of Philosophy, February, Vol. CIII, No. 2: 101-110. Fogelin, Robert J., , [1987; 1st ed. 1976], Wittgenstein, Second Edition, New York: Routledge & Kegan Paul. Gerrard, Steve, , “Wittgenstein's Philosophies of Mathematics,” Synthese 87: 125-142. Gerrard, Steve, , “A Philosophy of Mathematics Between Two Camps,” in The Cambridge Companion to Wittgenstein, Sluga and Stern, (eds. ), Cambridge: Cambridge University Press: 171-197. Gödel, Kurt, , "What is Cantor's Continuum Problem? ", Amer. Math. Monthly, 54: 515–525. Goodman, Nelson, , Fact, Fiction, & Forecast, Cambridge, MA: Harvard University Press. Hacker, P. M. S., , Wittgenstein’s Place in Twentieth-Century Analytic Philosophy, Blackwell. Hertz, Heinrich, [1899, 2003], The Principles of Mechanics, Robert S. Cohen (ed. ), D.E. Jones and J.T. Walley (trans. ), New York: Dover Phoenix Editions 1956. Kreisel, Georg, , “Wittgenstein's Remarks on the Foundations of Mathematics,” British Journal for the Philosophy of Science 9, No. 34, August 1958, 135-57. Kripke, Saul A., , Wittgenstein on Rules and Private Language, Cambridge, Mass. : Harvard University Press. Linnebo, Øystein,  "Platonism in the Philosophy of Mathematics", The Stanford Encyclopedia of Philosophy (Fall 2009 Edition), Edward N. Zalta (ed.). Monk, Ray  Ludwig Wittgenstein: The Duty of Genius Macmillan Free Press, London. Morton, Adam, and Stich, Stephen, , Benacerraf and His Critics, Oxford: Blackwell. Putnam, Hilary, and Juliet Floyd, , “A Note on Wittgenstein's “Notorious Paragraph” about the Gödel Theorem,” The Journal of Philosophy, Volume XCVII, Number 11, November: 624-632. Rodych, Victor, , “Wittgenstein's Inversion of Gödel's Theorem,” Erkenntnis, Vol. 51, Nos. 2/3: 173-206. Rodych, Victor, , “Who Is Wittgenstein's Worst Enemy? : Steiner on Wittgenstein on Gödel,” Logique et Analyse, Vol. 49, No. 193: 55-84. Rodych, Victor, , "Wittgenstein's Philosophy of Mathematics", The Stanford Encyclopedia of Philosophy (Fall 2008 Edition), Edward N. Zalta (ed.). Shanker, Stuart, , “Wittgenstein's Remarks on the Significance of Gödel's Theorem,” in Shanker, S. (ed.) Gödel's Theorem in Focus, Routledge; pp. 155-256. Shapiro, Stewart, , Thinking about Mathematics. The Philosophy of Mathematics. Oxford University Press. Shapiro, Stewart (ed. ), , The Oxford Handbook of Philosophy of Logic and Mathematics, Oxford: Oxford University Press. Sluga, Hans, and Stern, David G., (eds. ), , The Cambridge Companion to Wittgenstein, Cambridge: Cambridge University Press. Steiner, Mark, , “Wittgenstein: Mathematics, Regularities, Rules,” in Benacerraf and His Critics, Morton and Stich (eds. ), Oxford: Blackwell: 190-212. Steiner, Mark, , “Wittgenstein as His Own Worst Enemy: The Case of Gödel's Theorem,” Philosophia Mathematica, Vol. 9, Issue 3: 257-279. Stern, David, , “The ‘Middle Wittgenstein’: From Logical Atomism to Practical Holism” Synthese 87: 203-26. Stern, David, , Wittgenstein’s Philosophical Investigations. An Introduction. Cambridge Univ. Press. Wright, Crispin, , Wittgenstein on the Foundations of Mathematics, London: Duckworth. Wrigley, Michael, , “Wittgenstein's Philosophy of Mathematics,” Philosophical Quarterly, Vol. 27, No. 106: 50-9.